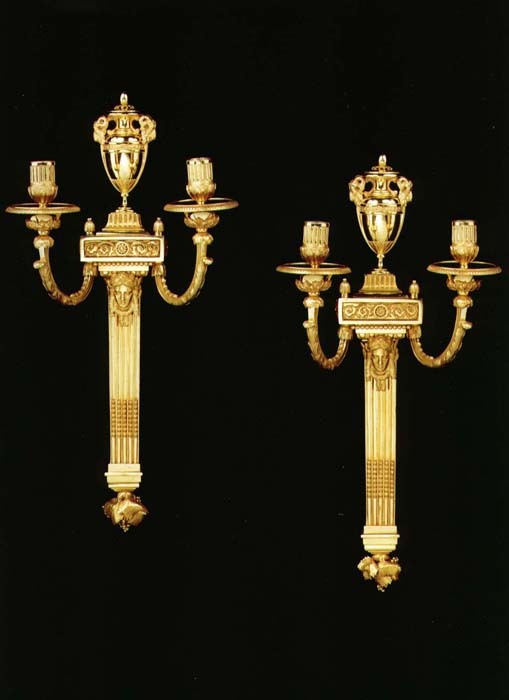 A fine and rare pair of two-branch wall lights of unusual design. 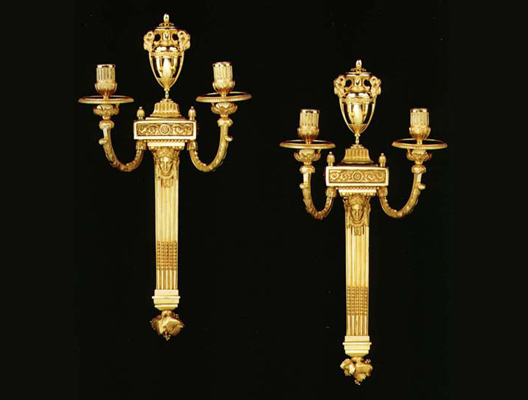 The quality of the casting and gilding, which is original, and the chasing is that of a silversmith. The classical vases from which rams protrude are standing on fluted plinths and ormolu platforms decorated with leafy scrolls and classical paterae. The back panels are made up of a fine classical female masks with knotted plaits sitting under egg and dart mouldings. The fluted columns are decorated with small husks and terminate with overlapping vine leaves. Height 18 1/2in (47cm). Width 8 3/4in (22cm).